From the opening bars of 'Winter Beats', you know that something special is coming. 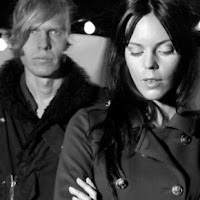 A swirling ode to shoegaze to celebrate the release of the Swedish duo's debut album, 'Hearts'. Download the track below. The band have a similarly magical electronica sound to FG favourites and fellow Scandinavians The Sound Of Arrows, but instead of tending toward euphoric dance, I Break Horses opt for a more shoegaze-y sound. It's a suitably hypnotic mix, which saw them snapped by Bella Union, who are putting out the new album this week. You can also pick up a free download of album track 'Hearts' at the Bella Union Soundcloud page. For more details, head to ibreakhorses.se. 'Hearts' is available to purchase at iTunes, Amazon.co.uk etc.